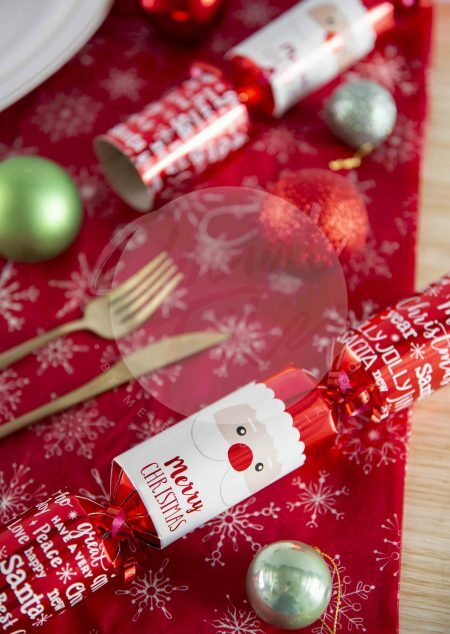 Christmas cracker with gold cutlery and decorations on red tablecloth. 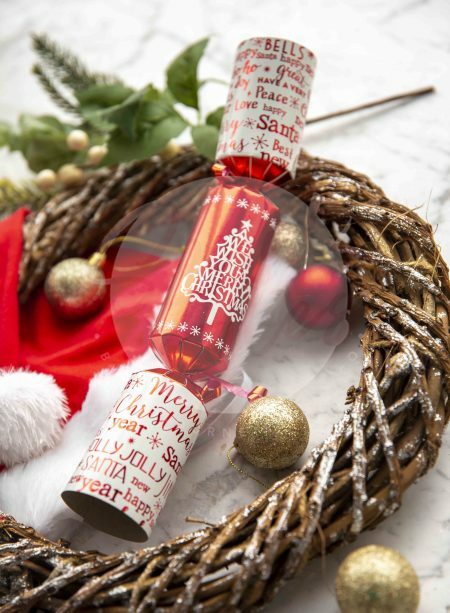 Christmas cracker with wreath and decorations on white marble background. 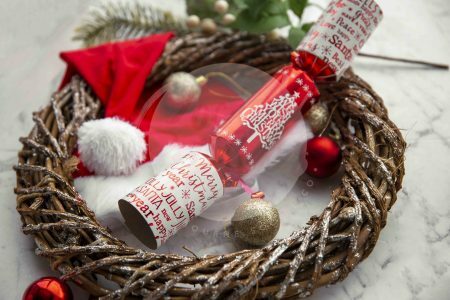 Christmas cracker with wreath and decorations on white marble background. Horizontal frame. 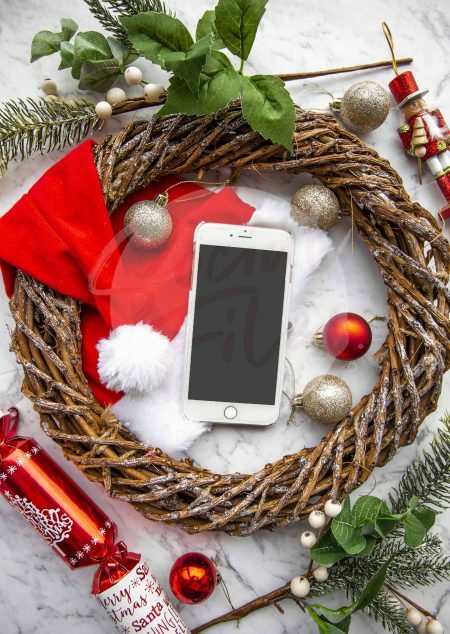 Iphone surrounded by Christmas Decorations with wreath, on white marble background. 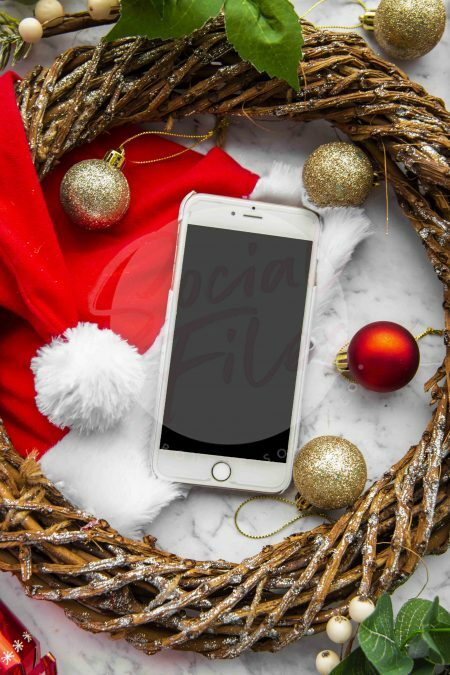 Iphone surrounded by Christmas Decorations with wreath, on white marble background. Cropped view. 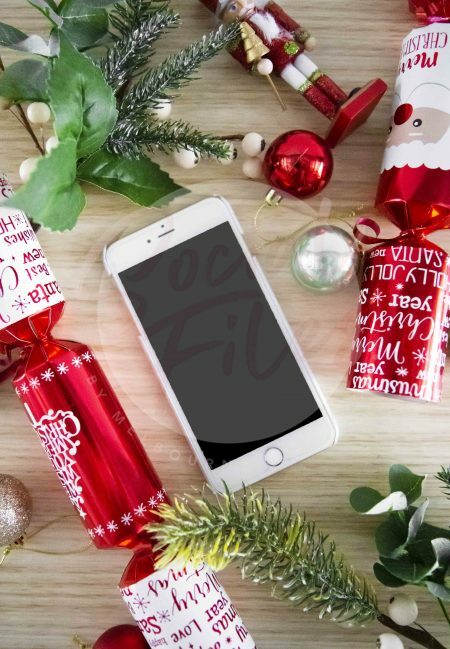 Iphone surrounded by Christmas Decorations. Birds Eye.